How will Conversational Artificial Intelligence (or chatbot) platforms make cities even smarter? Simply by integrating these new technologies in an ethical way, in order to improve and simplify the life of their citizens while optimizing their efficiency. Are you ready to use artificial intelligence in your smart city? In 2019, citizens of smart cities in Canada will finally be able to use a means of communication to talk to cities 24 hours a day, 365 days a year. Chatbot (a conversational platform using artificial intelligence) is coming to Canada through the smart city platform bciti, the technology solution already adopted by nearly 20 cities in Quebec and soon in Ontario. For decades, it has often been difficult for a citizen to quickly find the right information at the right time or to get an update on a filed application, such as registering for an activity or renewing a card. From a city perspective, answering thousands of questions accurately and consistently is a big challenge. Especially in the context of a city that is constantly evolving! Also, the processes are managed by people who have to search the right information in a mass of data, through a multitude of isolated systems. Meeting expectations exceeds human capacity. A direct and continuous dialogue becomes an crucial advantage for both the smart city and the citizen. Imagine being able to access your city’s municipal services at any time, get real-time answers, pay your tax bill or a late book with ease, follow up on a filed application, and even complete a form. All of this, only with a help from the chatbot. No more bottlenecks and long queues on busy days, such as registration for day camps or back-to-school activities. Chatbot, a real automated conversational agent, increases the effectiveness of the city and creates dialogues between citizens, systems and the City. 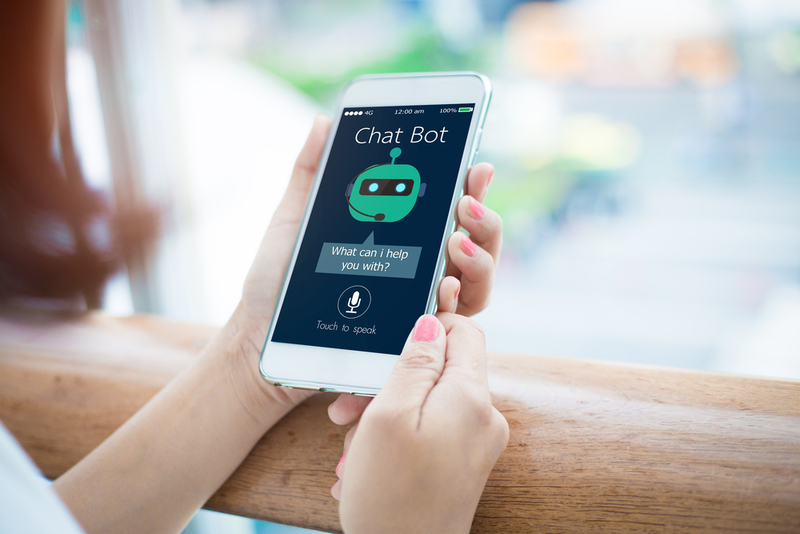 A chatbot is a great way to better anticipate needs and foster closer ties between the city and its citizens by improving interaction with them. That’s what a chatbot’s conversational platform does, in an ethical and safe way. While today, communications are fragmented via different messaging systems (e-mails, social networks, portal), an intelligence will now be within the reach of citizens and their cities. A conversational agent available 24/7, the chatbot, initiates a dialogue with a citizen via the internet, in writing or verbally. Artificial intelligence and its machine learning algorithms integrated in the chatbot are able to detect and analyze a context related to a question or an intention of the citizen. This technology makes it possible to respond adequately to his questions, according to the information stored. In 2019, the smart city platform bciti integrates an initial version of a chatbot conversational agent called “Buzz” that automates a multitude of answers to frequently asked questions. The project is entering the pre-commercial development phase and will allow several cities in the community to participate in a highly innovative project, with researchers from Laval University. The Chatbot Conversation Agent will enable cities of all sizes to modernize interactions with their citizens, improve access to city services and create favorable conditions for citizen engagement and participation. By having access to the benefits of artificial intelligence, the city will be able to analyze all the exchanges via a dashboard. All while respecting the laws on privacy, data ethics and security. In conclusion, artificial intelligence is at the service of smart cities, today and tomorrow, to provide superior and efficient municipal services to their citizens. In addition, it easily integrates with the city’s website, its social networks or via an intelligent web or mobile city platform. In addition to making life easier for citizens, it allows the city to position itself favorably on the territorial scene, in order to attract and maintain a population with increasingly high expectations for accessibility and connectivity. What are you waiting for? With bciti, you can integrate artificial intelligence in your smart city.